Studying abroad can be one of the most powerful experiences in your educational career, regardless of what you intend to study or where. It often provides you with the opportunity to surpass the typical tourist stereotype and to learn in a more meaningful way about the host country’s culture, language, people, development, infrastructure, etc. One thing that can be difficult, however, is being an outdoor enthusiast in another country and lacking your usual connections and access to adventure. Suddenly you are at a loss. 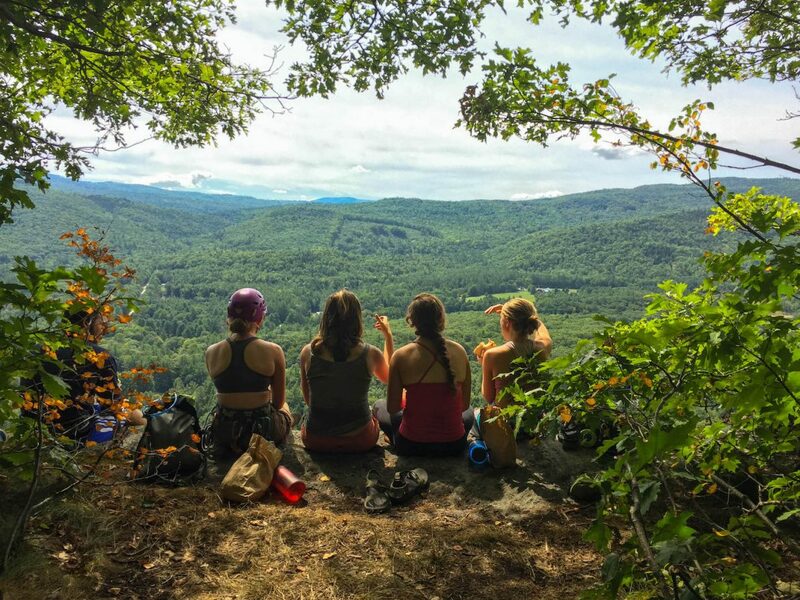 You have no clue how to get to the crag, where to rent the gear, how to trail run in a city, or any number of suddenly altered realities that quickly become pressing issues for students who might be driven mad by the challenges of a foreign home. My first piece of advice is simple: try your best to take advantage of where you are because it is an incredible opportunity to experience a different region of the world for an extended period of time. Being homesick is natural. Being happy to get away from home is also natural. All these emotions are valid and it is important to feel them and live in the moment with your program, irrespective of physical location. Spend time with your new friends, try all the coffee shops, go to that one weird museum, and explore the places that make your city unique. You will only be there for a short while in the grand scheme of life. However, once your pinings for the outdoors become unbearable, the first thing I recommend, whether your program has a language component or not, is to pick up a phrasebook. They are usually cheap and in many shops and can come in handy when your conversational, “survival” language from class is suddenly no help in the context of outdoor exploration. The next step is to ask your program for advice. There are students in similar predicaments every semester or year, and I can almost guarantee they will have advice or recommendations for where to go, who to meet, and how to do it in the most economical, efficient, and safe way. After that, network and smile. Hit up likely places for making connections: bouldering gyms, tour companies, hostels, Google! Search for climber hangouts, skier digs, runners’ havens, etc. Some coffee shops or restaurants will even have themes: backpacker’s salad bars, runner’s smoothie joints, climber’s big-calorie dinner places. A friendly demeanor and gracious attitude, while hopefully using some of your new language skills simultaneously, can go a very long way in finding and making connections in any outdoor community. Get people’s names, phone numbers, facebook friend requests, business cards, because you never know when you’ll need Jill or Joe’s contact information in order to remember that one trail they said was by that one sign on that certain road down the highway. You might even get some adventure buddies out of it! Along the way, don’t forget to ask about student discounts! Many companies will bend over backwards to acquire student business because of its potential: there are usually a lot of you and they will often lower the price the more friends you bring along. Some will do the same as soon as you show your fancy new ID card. On your adventure, have fun, be safe, bring a camera, have some pocket money, and remember your common sense. Remember to be present and to put the technology down once and a while and see through your own lens, too, because you’re a beautiful human exploring this beautiful earth and taking advantage of what other outdoorists before you have set in motion.